On December 17, Johnson & Johnson released a powerful rebuttal in response to a number of product liability lawsuits it has faced concerning its talc-contained Baby Powder product. The rebuttal was specifically published in response to recent Reuters coverage arguing that the company knew for years that its product caused cancer but kept it on the shelves; coverage that has inspired some politicians to recently call on the U.S. Food and Drug Administration to investigate its reported findings and any links to public health and safety issues. Below, we discuss some of the issues with Reuters’ coverage, as well as how recent court decisions are shaping product liability lawsuits like these. According to Reuters, even though tests in the past decades may not have found the presence of asbestos, tests run between 1970 and 1991, as well as those done by Johnson & Johnson itself in the early 2000s, did. Specifically, according to new syndicate, the company only tested a fraction of the talc powder it sold, and failed to recommend a testing process that would have increased the sensitivity of the tests. However, in late December, Johnson & Johnson took out an ad in papers such as The New York Times titled “Science. Not Sensationalism,” which asserts that the company has scientific evidence that its product is beneficial and safe to use. The company has also accused Reuters of failing to disclose important information to the public, such as the number of and information on studies that have demonstrated that the product is asbestos-free and safe to use. Last year, a U.S. Supreme Court ruling limiting where injury lawsuits can be filed was a huge victory for Johnson & Johnson, as a number of the lawsuits arguing that the talc-based products caused plaintiffs cancer involve out-of-state plaintiffs suing the out-of-state company. Specifically, the Court stated that state courts cannot hear claims against companies that are not based in the state where the alleged injuries did not occur. 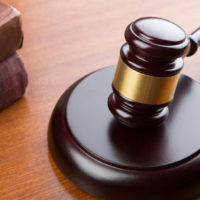 The decision immediately led a judge to declare a mistrial in one of the talc cases at the time, and placed other related verdicts and cases in question. This decision will also inevitably affect other product liability litigation, such as those related to medical devices and pharmaceuticals and the ability for plaintiffs to seek out jurisdictions that are more likely to be friendly to their claims. When companies face product liability claims, having qualified defense representation is essential. Contact our Brownsville product liability defense attorneys at Colvin, Saenz, Rodriguez & Kennamer, L.L.P. today to find out about the skillful representation we provide product manufacturers facing any kind of product liability claim.